I absolutely love how they treat him as one of their own, always looking after him. Such a wonderful family you have. Love these photos..thanks for sharing. Your photos always say so much! 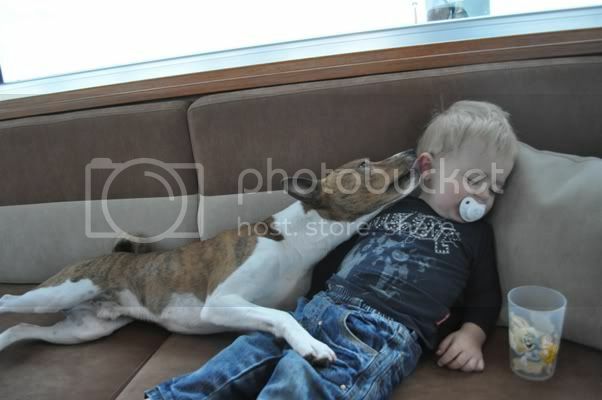 There is nothing like a boy and his faithful dog companion. 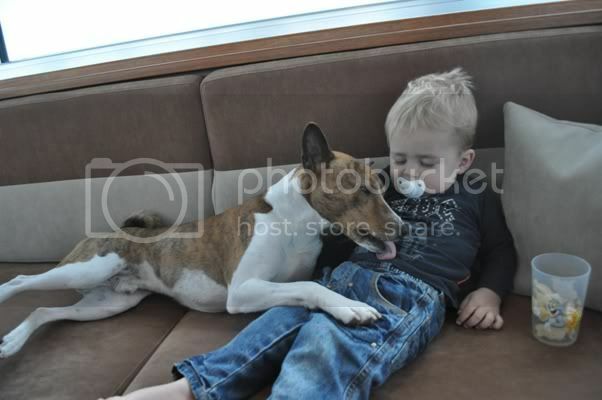 He obviously adores Ryan - its lovely to have you share these beautiful pictures. thank you. Fabulous! I think of you and your family when I hear of people 'getting rid of' their dog because they have had a baby. 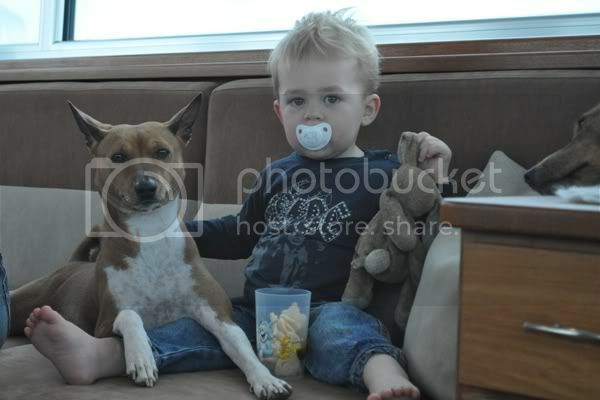 You are the "Poster Child"(excellent example) for incorporating a baby/pet household! And I love that they love each other so much. When I hear about people get rid of their animals when there will be a child, my heart hurts. The only thing "we" have to do extra? Just watch them when the are together, explain Ryan he has to be carefull with them and respect them and the dogs react on Ryans behavior. 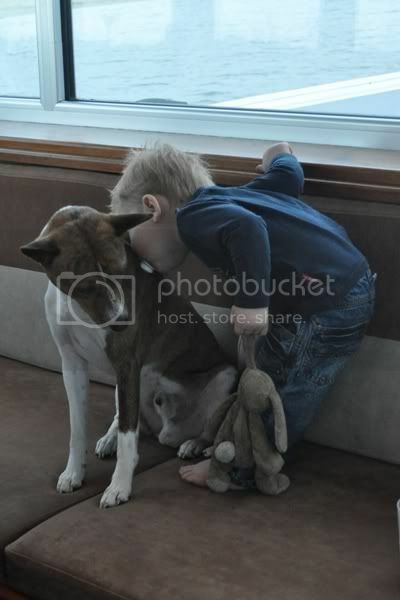 Because Ryan behaves so well with dogs, the dogs tread him as the tread eachother only more carefull. My nephew and niece had a little Cavalier king Charles and when the first child was born, she had to stay in her crate so much, when the second came, the doggie girl moved to a new family.. I was so upset about his. 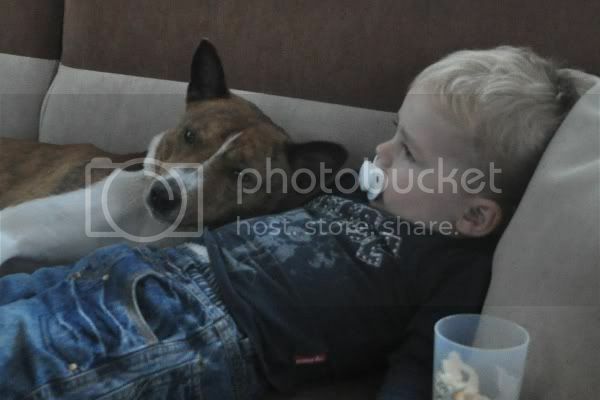 Also a basenji boy we know, he lived with two little boys and the boys were being so disrespectfull with him he was growling at them. They pulled his tail and all these sort of terrible things.. 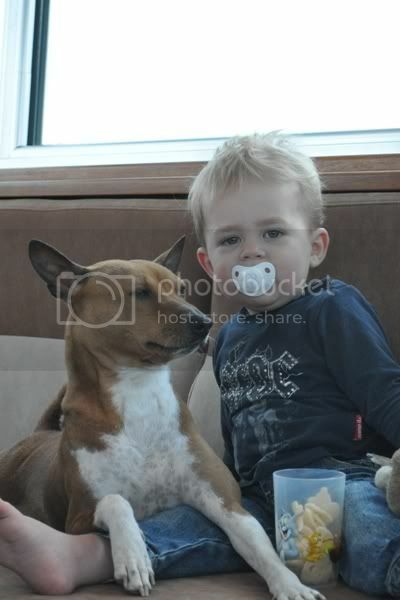 So the Basenji boy had to leave.. 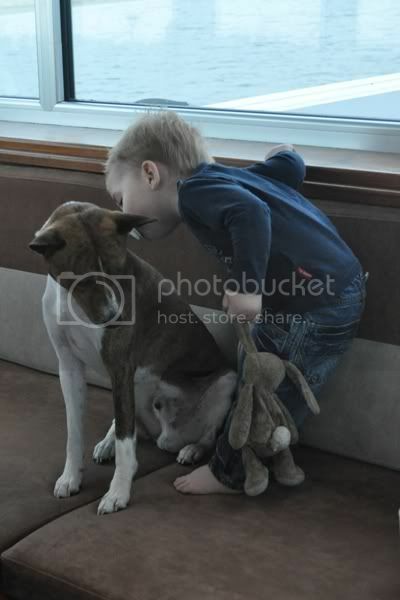 He now lives with a great family, with a young girl.. She adores the boy and they love eachother so much..
Our animals are at the same "love" level as Ryan, they mean as much to us as Ryan does. Why do they think it's not possible to love your whole family equally? 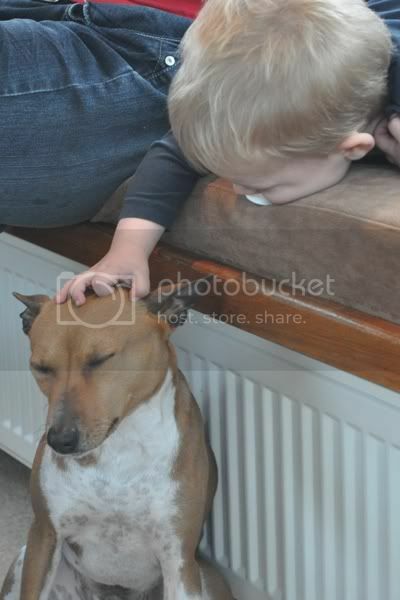 Your pictures are wonderful, great proof of children-pet fine friendship. Congrats! Lovely testament to how it can and should be..living together as family is a wonderful experience for the child and for the animal. Awesome pictures Kim. What a marvelous series of photos. Thank you so much for posting them. And people say B's and kids don't get along! When my grandson came to live with us for a year, Shadow was 7, Sugar 4.5, Zina, 4.5, Damisi 3.5. None of them every bothered him as he was taught, by my daughter, from the time he was able to move around, to respect the dogs and they would respect him. Johnny is now 1.5 and they are 'best friends.' It's all in how you raise both of them IMO. 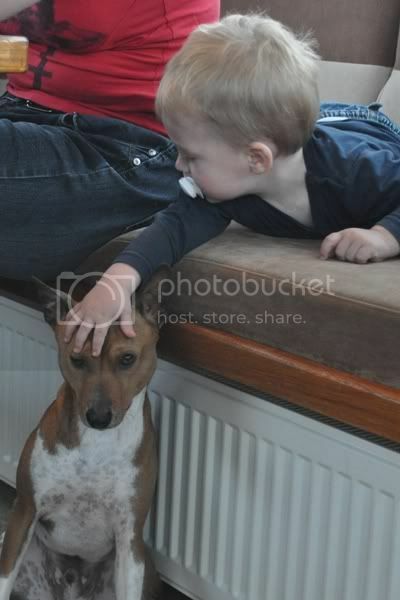 @ Arlene, we hear it all the time, even some people/ breeders that know us will say Basenji's aren't good with kids because they are afraid?? Great pics as always Kim!! All three boys are too cute together :D.
PS: When I am looking at these pics I think I will have to post some pics of my little niece with Bs here too ;).